So after a bit of fun doing things like filling out applications, getting an encroachment permit, viewing orientation videos, getting our gear and getting sign decals made and installed on the panels, and then mounted on the signs, we were official and ready to rock-n-roll! Last week, we decided (ok, I decided) that we would just do it. It would just take a couple hours and it wasn’t too hot. Wrong! Our crew consisting of yours truly, my wife (and soigner extraordinaire) and our Club Mother (aka Mom) got out on the road and did some adoptin’. Okay, before I continue, some context: CAC has the stretch between Turtle Rock Park and Camp Markleeville – mile markers 14 through 17 (North bound), just between Alta Alpina and the Alpine Watershed Group, other good stewards of the area. That’s our little stretch of heaven, right there, between those arrows. Two hours…not! How about four?! And it was hot. 95ish or so, but we had to kick some passes’ asses so we gutted it out and collected about five good sized bags of plastic bottles (lots of those little Sutter Home wine bottles and Crystal Geyser water bottles), cigarette butts (really people! still? so not chill – but I guess all litter is so not chill). Oops, there I go. Let me step off the soapbox and continue. A few beer bottles were in the haul. No micro-brews, though. I found that interesting. Quite a few straws, a flip-flop (didn’t find the match), some gloves (various), lots of bits of plastic-mostly from fast food soda lids, an old antifreeze bottle filled with stinky tar and most importantly, an orange 5 gallon “Let’s do this!” bucket that was in great shape (thanks Home Depot!). Authors note: My wife made our house its forever home and so it didn’t go to the landfill. Oh, and only 2 Gu packs and 2 Gu pack “lids” so not bad, cyclists. 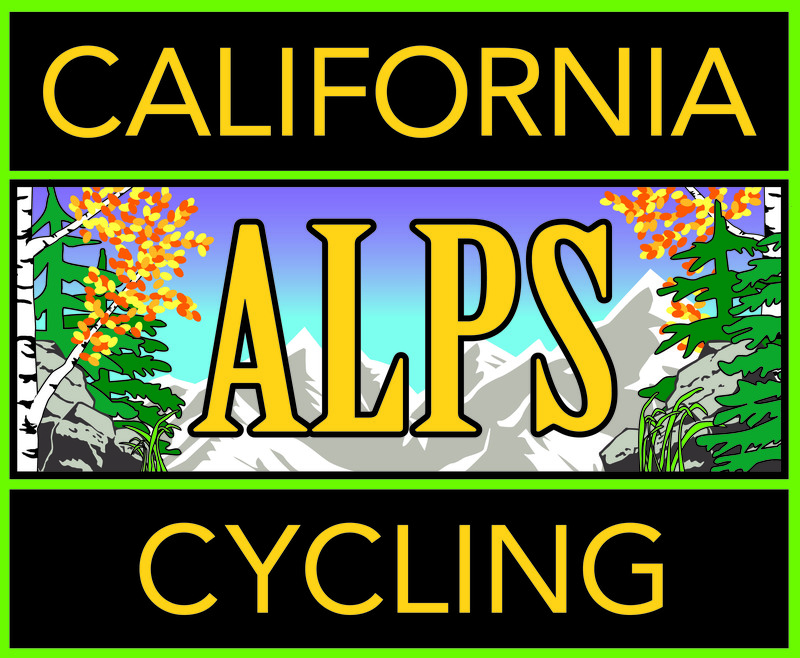 All in all a really good day for team California Alps Cycling. Helped the community and generated some good karma, especially with motorists and our fellow locals (based on the “nice honks,” and waves). Want to join us next time? We’d love to have you. We’ll be hitting the road again in the fall (September we’re thinking). Right around the time our new Castelli schwag comes in. Oh, boy! Follow this blog and be on the lookout for an announcement. And remember, part of our mission here at California Alps Cycling is to help the communities in which we live, work and ride. We did our part last week. What are you doing to give back or pay it forward in your community? Let us know by commenting on this post. I will help next time freind. I could of this time if I only knew. Of course you found no craft beer cans or bottles because we are a classy bunch of beer drinkers! Good work and well done. That’s what I thought too. Thanks bud!